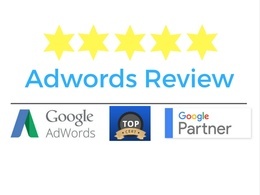 I am an Adwords Professional & Google Partner. 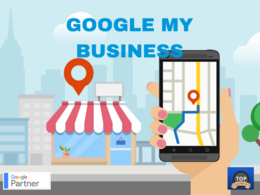 I'm a entrepreneur and marketer with vast experience looking after the digital marketing and promotion of my own ventures....Read moreI am an Adwords Professional & Google Partner. I'm a entrepreneur and marketer with vast experience looking after the digital marketing and promotion of my own ventures. 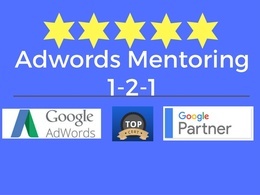 From having to make my digital campaigns work for me, I found a passion for Google Adwords and PPC. Having learned at the coal face and discovering I had a talent for it, I now successfully manage the digital marketing activities for many businesses worldwide. My approach is practical not theory based. It is all about results. Picking your battles within Adwords and trying to maximise your return. I currently run a successful Digital Marketing Agency which specialises in Adwords/Google Ads. We have small businesses all the way up to household names as clients. Previously I have worked for many large media companies including Elbowroom Media, CCEA and Ashville Media. I am also a Prince's Trust Business Mentor helping young people with the Digital Marketing needs in their businesses. 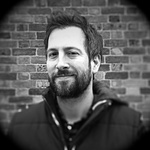 "I've been running Adwords for years and been happy with the results. They work for me and so I hadn't given much thought on whether I could get better value for my monthly spend - which is around GBP200. I'd thought about looking into optimising them, but that always got put off. 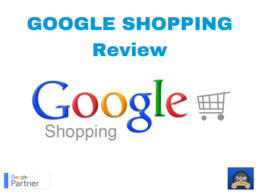 Until recently when I decided it was time to take action and bought John's Adwords Review hourlie. I'm always a bit wary of buying services online, as what's advertised often isn't what you get. So it came as a great relief that John's service came up trumps. I received a report which included actionable advice and recommendations. He doesn't give you step by step instructions - that would be too much to expect for the price. But the report contains more than enough information for you to know what needs to be changed or reviewed. Of course, it's all about results. In my case, after a week of implementing John's advice my CTR doubled to just under 10% whilst my CPC went down to 50% of what I had been paying previously. These were the averages for three test ads I created to run alongside the original ad. I was more than happy with that. Excellent work; clear, precise and practical. Thank you, John. Looking forward to doing more work with you. Great start. Looking forward to seeing our first live month. I had communication issues with John and his team. I don't believe in negative reviews. It is almost certainly down to my team removing a line of code by mistake. However, I didn't get what I needed done. It may or may not have been his team's fault. I certainly feel to blame and the communication was mainly about that, rather than how to solve the issue. We still have no tracking optimised on our website and we still are wasting advertising funds. Again, perhaps it was the fault of my team. It's extremely hard to know! However, I didn't see evidence of proactively leading the tagging project. If anything it was "you changed it so its broken" rather than "I can see why its broken, let me help you fix it". The trouble with remote teams is always communication. As the client, I spent most of my time seeking communication on this one and I can't blame my team for that one. The work on Adwords structuring was fine. I can see the logic in what was done. Just, at the end of the day, even with a £40 hour remaining, it was used to send me an invoice and an explanation of why we are not good at our job rather than help us be better at it. He seems like a great guy and no doubt knows his stuff but something went wrong here. Probably on both sides. We've paid in full as requested (the invoice was released *during* the exchange of emails about the unresolved issue as a kind of mic-drop which I don't appreciate). However, we always pay. Thanks for the review. I'm sorry you have taken exception to my invoice being sent. As I had completed the time I had been contracted for, I sent through my invoice as per normal. I agree communication was a problem on this job. I was constantly active on the workstream and I do feel your deferment of communication to a third party outside of PPH had a lot to do with the communication issues. Difficulties I could not overcome with the best intentions. On wasting advertising funds - when I ascertained the tracking code was missing (removed by your team) you informed me the project was paused, but then went ahead and and ran the Campaign without updating me. So to reference this in your review does seem a little harsh. Thank you for the positive points and I wish you all the best. Excellent work, very professional service. Definitely recommending.